Medical emergencies involving alcohol and students at Northern Illinois University's (NIU) fraternities, sororities and dorms are not uncommon, a NBC 5 Investigates report has found. In the last three years, there were more than 130 ambulance runs to NIU fraternities, sororities, and dorms for people so intoxicated that they needed emergency care. Despite the tragic, hazing university death of 19-year-old David Bogenberger at the Pi Kappa Alpha fraternity, NBC5 has learned that the problems of alcohol at the campus go far beyond this one tragedy. NBC5 Investigates obtained three years of 911 ambulance incident records from the DeKalb Fire Department from 2011 to 2013. The records show 53 ambulance requested in 2011, followed by 41 ambulance calls in 2012 and 39 ambulance calls in 2013. Some reports describe students as "highly intoxicated", "puking up blood" or "unresponsive ... has drunk a bunch of vodka." 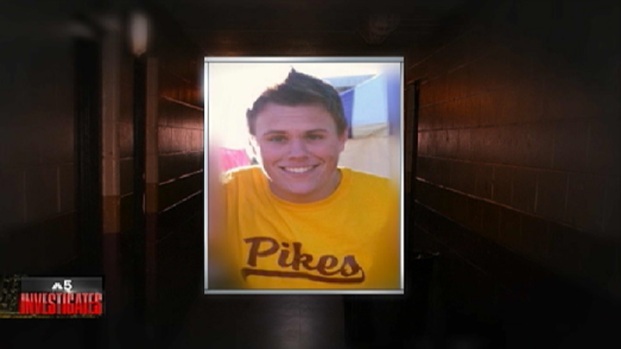 David Bogenberger was found dead in a bedroom of the Pi Kappa Alpha fraternity house. In a written statement to NBC 5 Investigates, Northern Illinois University said, "The University lacks sufficient knowledge and information about the amount and circumstances of the ambulance calls received by DeKalb each year. Therefore, it is not in a position to provide an informed response to this inquiry." In November 2012, Gary and Ruth Bogenberger flew to Illinois from the home in Florida to identify their son David. In a rare interview, David's parents spoke to Rob Stafford in hopes that what happened to their teenager would never happen to anyone else. "Until I saw him lying dead on a slab, in a mortuary that I really realized that this was real," said Gary Bogenberger. The loss was devastating, but the way Dave died seemed to make it worse. "Approximately 40 ounces of vodka, in approximately 90 minutes," Gary Bogenberger said, adding that his son drank the equivalent of 26 shots and his blood alcohol level was four times the legal limit. The autopsy report indicates that David died of "cardiac arrhythmia" and that alcohol intoxication contributed "significantly to his death." The night began on the second floor of the fraternity house. Police reports and photos obtained by NBC5 Investigates show that pledges endured sexual taunts and were pressured to drink by fraternity brothers and humiliated by sorority sisters brought in for the well planned ritual called "Greek Parents Night." Police reports say that some pledges passed out and then were carried to beds and turned on their sides so they wouldn't choke when they threw up. It wasn't until the next morning that fraternity members discovered that David had died during the night. Paramedics found his body in room 15. 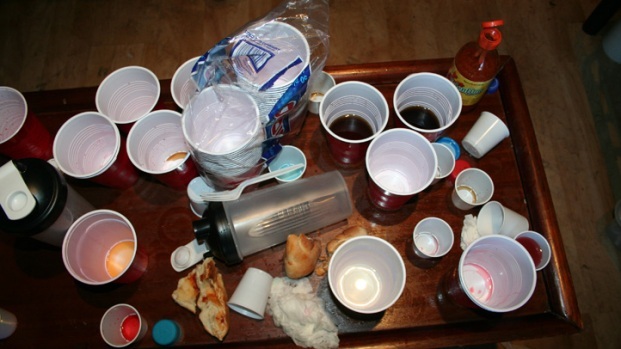 There were empty bottles and cups everywhere. "He was hazed. He was killed in a hazing incident," the teen's father said. 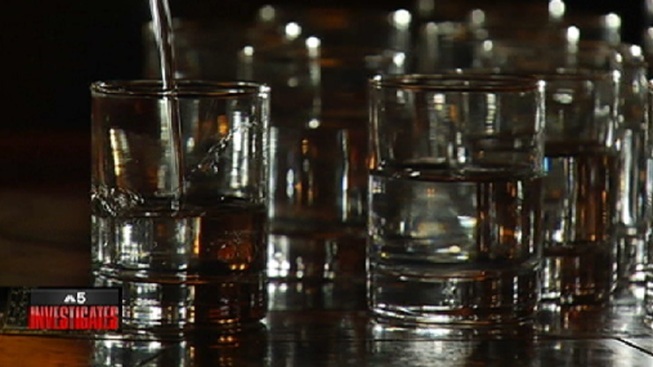 "When you have these large amounts of alcohol in your system, your breathing, your heart rate and your blood pressure get shutdown, and that's what leads to coma and death," said Erin Pallasch, a pharmacist with the Illinois Poison Center. Police arrested 22 students involved in the incident. Five students face felony hazing charges that can carry up to three years in prison. All have pleaded not guilty in court. "They knew people needed medical help. Somebody suggested, 'Let's call 911,' and they were told no," said Ruth Bogenberger, David's mother. The Bogenbergers have filed a lawsuit againt the fraternity and the school but realize nothing will bring their son back. "You want the next kid to make that call," said Ruth. "I want the next kid to not have to make that call," added Gary. "I want the next kid not to be treated the way David was treated."